Pakistan and England are finally ready to play another series in United Arab Emirates after almost three years. the series will start on Tuesday 13th October 2015 when Pakistan will take on English team in 1st test match of three test match series in Abu Dhabi. the match will start at 11 am in the morning. 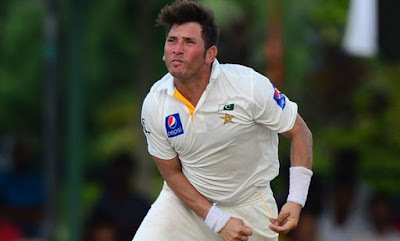 three years ago Pakistan defeated England in test series in UAE due to Impressive bowling of Saeed Ajmal and Abdul Rehman but this time both of these bowlers are not part of the squad so the responsibility will be on young spinners Yasir Shah and Zulfiqar Babar. Captain Misbah Ul Haq is hopeful to win the series once again with help of his young players. Shoaib Malik is also back in the test side due to Injury of Azhar Ali. so he or Ahmed Shahzad will be included in team for 1st test. English captain cook will also be hoping that his experienced bowlers like Broad, Anderson and Moin Ali will trouble Pakistani Batsmen. head to head both sides played 74 test matches. Pakistan won 16 and England won 22. 36 matches resulted in a draw.